Retired as an Army Officer in 2015, April has been teaching for over a year. 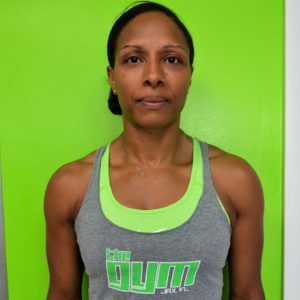 With over 23 years of service, she has a background in leading group fitness sessions in the military and supervising newly enlisted basic training recruits with physical readiness training. April recently completed an internship for Group Fitness Instruction as part of the Fitness Training Program with Heritage Institute and will be finishing her NASM certification this summer. April has been active all of her life from softball, volleyball, track, cheerleading and gymnastics, she has done it all. This is why she enjoys mixing up her own training with strength training, cardio/HIIT, running, etc. 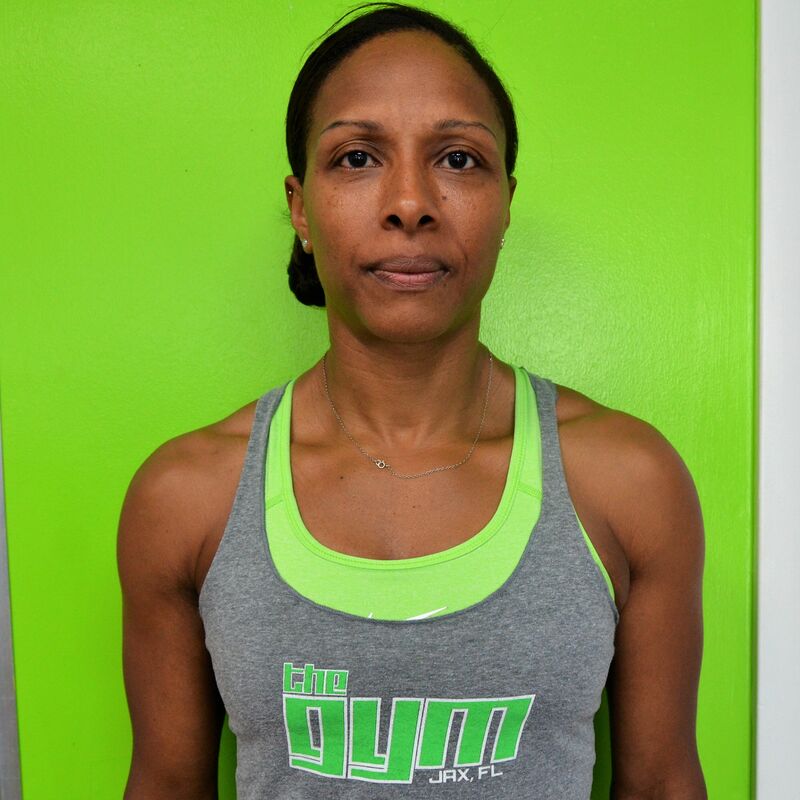 Her motto is “just do SOMETHING…lift, jump, run…just go hard and stay consistent with a healthy lifestyle” and she believes that functional training is the best way to do that. I love The Gym Jax because it is the total package. Whether you are into strength training, cardio, or functional fitness, it’s here- and it’s always improving. I enjoying seeing what all the human body is capable. When I’m not teaching I love doing things outdoors like kayaking or fun runs/5Ks and I finally participated in my first Spartan race this year. Basically, I train just to be able to “do LIFE…well”.